I'm trying hard not to freak out about my upcoming surgery. But... I have many freak out moments. It's consuming and I feel crippled by the thought of surgery. I'm trying to look at it this way: this part of me is diseased and malfunctioning. It has made me sick for the last ten years. It could make me sicker if I leave it. Logically it's best to remove it and be done with it. Still.... I've never had real surgery. I'm not looking forward to being in the hospital. Or recovery. Or having a scar. Or the adjustment period until my meds are tweaked to suit me. There's always the 'what ifs.' Panic takes over just thinking about it. I have two more weeks to sit and stew over it. Wordless Wednesday ~ My Halloween Costume! When the hospital called to verify my information, the nurse gave me the option of being sedated or just going with a local anesthetic. She said the patients run about 50/50. I figured after all I went through with my leg, that this couldn't be much worse. Being sedated also meant 3-4 hours in the hospital versus one hour with a local. The quicker it was over with the better it seemed to me! I arrived at radiology right on time. It took them a few minutes before coming to get me. I had to lie on a table with a towel under my neck to position my head correctly. They did another ultrasound and showed me my nodule on the screen. The I waited. And waited. And waited. The nurses chit chatted. It was about an hour before the doctor came in. Apparently the procedure before mine took a little longer than scheduled. First was the big stick/pinch of lidocaine. Right after, a bigger stick. Lots of pressure and digging around for about 10 seconds. Almost as soon as they stuck the needle in, they were telling me it was almost done. Really? That was it?? The nurse held my hand and said to squeeze if I needed, and believe me I did. Then a repeat with a second needle. It didn't exactly hurt but it ached. It was really quick and it was more of a heavy pressure sensation than pain. I waited while the lab tech looked at the sample on the slides. It needed to have at least 60 cells for it to be good enough. Zero. She said. Both of them. Zero. So, the doctor repeated the whole thing twice again. Once again, zero cells. All they got was all colloid tissue, which is basically overgrown thyroid tissue. Or so they said. On the following Monday, I arrived at my doctor's office for the official results. I wasn't expecting anything bad, since they had told me in the hospital that it was nothing. On the lab report was something much different. was written in big, bold, print. Abnormal cells. It could either be from having a diseased thyroid, or the C word. There's about a one in ten chance it is the C word. The doctor recommends surgery, of course. Better to be safe than sorry. Chances are it's nothing, but there is always that one chance that it isn't. Considering the fact that the nodule has grown to 3 cm (about the size of a quarter,) and that my endo referred me to a surgeon, and that I can feel swelling and discomfort in my neck .... surgery is recommended. It's up to me to decide. I could wait and see a few months more or I could go ahead with surgery. I've always known that surgery was a possibility with the ever growing nodule. I really, really do not want to have surgery. I really, really do not want to spend a couple of days in the hospital. But IF it is something bad, I really, really want it out. I listen to Pandora pretty much all day long when I am home. I'm not much on TV, so I have Pandora on my phone as I do housework, laundry, bake, etc. Mary Lambert has been in rotation for a while now, so when I saw the opportunity to review her album "Heart On My Sleeve," I couldn't pass it up. Chances are you have heard "Secrets" as it is her most popular single. The rest of the album reflects the title perfectly. She's not just singing with her voice, she's singing with her heart. As an 80s girl, her cover of"Jessie's Girl" caught my attention right away. Much of the album is mellow and soothing. Her voice is smooth and easy to listen to. If you enjoy the likes of Tori Amos or Sarah McLachlan, give Mary Lambert's "Heart On My Sleeve" a listen and you won't be disappointed. It's available for pre-order on iTunes and Amazon. 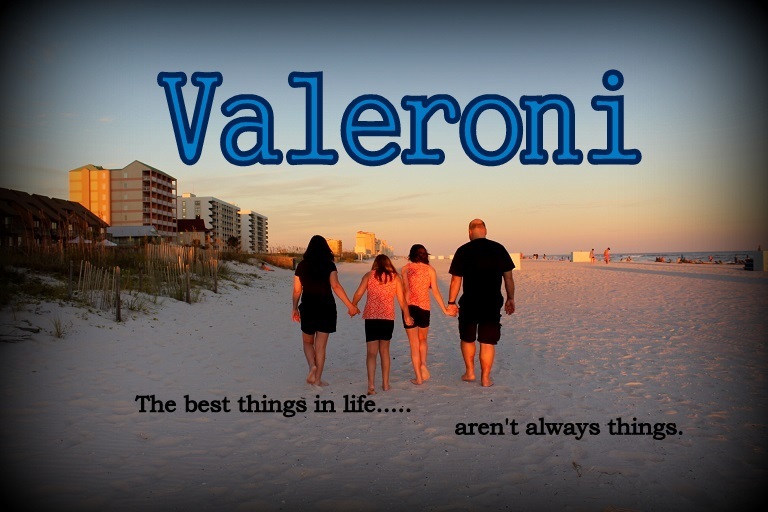 Gulf Shores, AL Beach Family Portraits! We're just back from a visit to Gulf Shores, Alabama. I planned ahead to do beach family portraits and coordinated outfits and accessories. The wind... oh my the wind on the beach was a bit overpowering. My hair was a total mess with in five minutes and the photo shoot didn't go quite as well as I would have liked. Here are a few of the better pictures. I will miss you dearly my sweet, beautiful baby boy. RIP Pepper. August 2013 - October 6, 2014.
a cat who loved rain? Tick tock. Tick tock, Your time is up. Almost to the day a year ago I rescued Pepper from the Lafourche Parish Animal shelter. You can read about it here. The short version is I saw a sad looking kitty on Facebook. So sad looking. The next day, I looked at his picture again. At that moment, a comment popped in that he was on THE LIST for 11am that day. I rescued him. I saved him. I thought I was doing a good deed. October 1st was his adoption anniversary. My beautiful blue-eyed baby boy. My sweet cat, who didn't know he was a cat. My cat who liked to be cradled like a baby. Who would walk up to me, reach up with his front paws and 'hug' me. There were days when he would sleep. A lot. The next day, he would be perfectly fine and be back to his kitten antics. He was young so we chalked it up his sleepy days to a growth spurt. Bella and Pepper were frienemies. Friendly enemies. They fought. Pepper pounced. They'd wrestle each other nightly from room to room. When no one was looking, I'd catch them cuddled up together. I can't forget about Sassy. The elusive SassyCat. She lives mostly under my bed, only coming out at certain times. It's almost as if she has a set schedule as she knows when it is safe and when it is not. She is 13 years old and didn't put up with Pepper's kitten nonsense too much. Over the weekend, Pepper didn't look so good. He slept a lot and didn't want to join is outside in the beautiful fall weather. When he did go outside, he would just lay very still. No hunting, no stalking. I noticed him sitting hunched over with his head hanging down, like he was in pain. Pepper hunted everything and ate everything he caught. I thought maybe he had gotten something that made him sick. Sunday he was the same. He wouldn't eat. I held him and loved him. He never purred. He just looked at me with very sad, empty eyes. Yesterday, on Monday, he looked a little worse. He sat hunched over. Very sick looking. He reminded me of Skooter at the end. I called the best veterinarian in town and unfortunately I couldn't bring him any earlier than 5pm. I had an appointment and I had to be here when the kids got off the bus and there was just no way I could get him there sooner. The vet was amazing. With in minutes of arriving, they called for an urgent tech to rush Pepper to the back while I did the paperwork. I told them that maybe he was poisoned? It was just a guess, but I couldn't imagine what was happening to my baby. The doctor came out and talked to me several times. Pepper was having trouble breathing. His gums were very, very pale which meant he was severely anemic. At the least, he would need a blood transfusion and a long hospital stay. How far did I want to take it? It could be rat poison. Then.... they called me into a little room and asked me where I had gotten him. "The shelter," I said. I had thought ahead and brought all the paperwork when I adopted him with me. "Was he tested for Feline Leukemia?" I thought so.... but the box wasn't checked on the paperwork. No... no no. Tick tock. Tick tock. Pepper tested positive for Feline Leukemia. In trying to do a good deed, in trying to save a life, in trying to give a sweet kitten a loving home, I brought this little time bomb into my home. He most likely had it when I adopted him because he isn't around ANY other cats. He either caught it from the shelter or had it when he was picked up as a stray. My heart is completely broken because now Bella and SassyCat most likely have Feline Leukemia. I brought this disease into my home. Bella is only three years old. SassyCat is 13, so she has had a long happy life. But my sweet beautiful Bells..... Neither were vaccinated because they are inside cats. My theory was they aren't around any other animals and not exposed to anything to be vaccinated for. 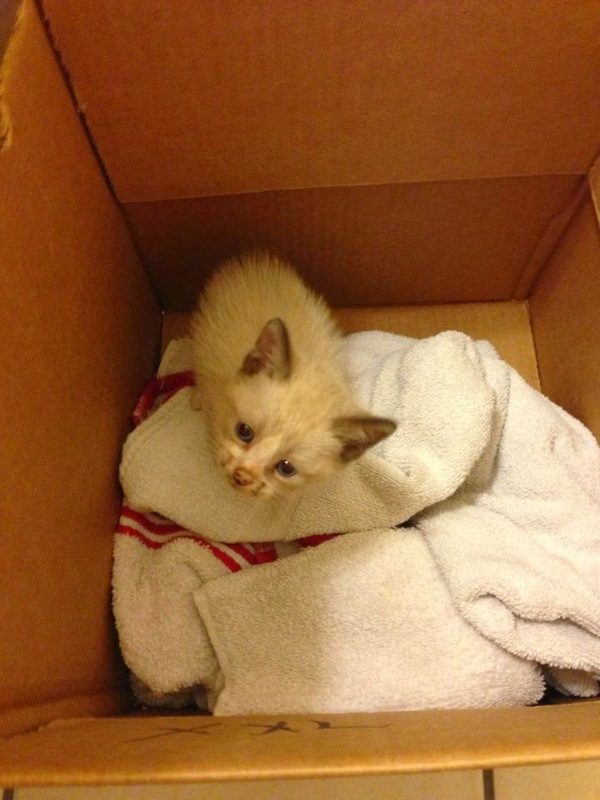 It never crossed my mind that this sweet little kitten I saved would bring suffering to my other cats. Bella tested NEGATIVE!!! The dr said he couldn't explain it but by some miracle Bella didn't catch FeLV from Pepper. Sassy Cat is most likely okay too since she had even less contact with Pepper. She's 13 though, and if by chance she does have it.... at least she has lived a long healthy life. Bella is fully vaccinated now, and I have learned a very valuable lesson about introducing new cats into the household. RIP Pepper. You were very much loved and will be very much missed.